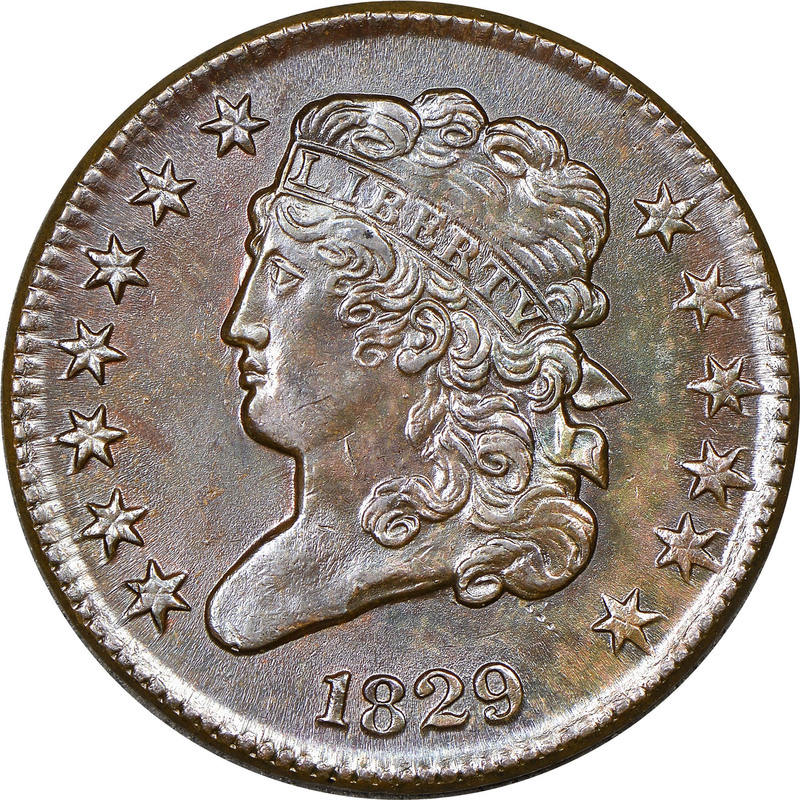 The published mintage figure is assumed to have included many half cents dated 1828, as that date is far too common in relation to 1829. 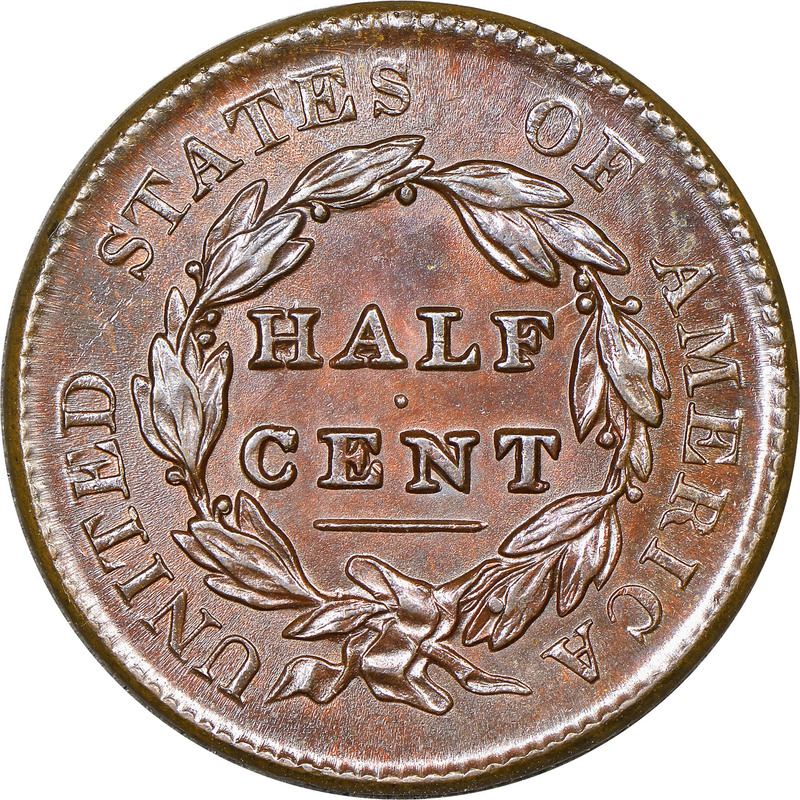 Just a single die marriage is known for this date, further confirmation of its smaller mintage, as a single pair of dies could not have produced nearly half a million coins. The example illustrated is from a late state of the dies, as the stars and peripheral lettering are both drawn toward the edge. 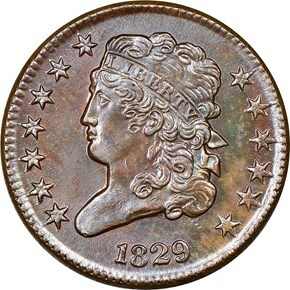 Mint State examples of this date are not rare, but they are almost universally brown or some color other than mint red. 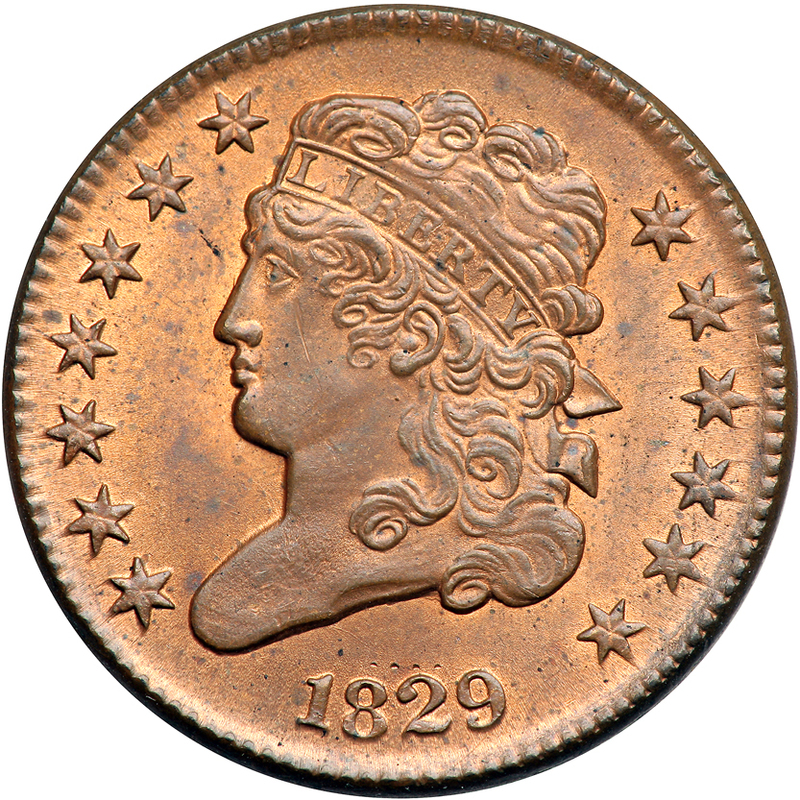 At least 234,000 unneeded half cents were destroyed at the Philadelphia Mint in 1830-31 to provide copper for alloying the gold and silver coinage. 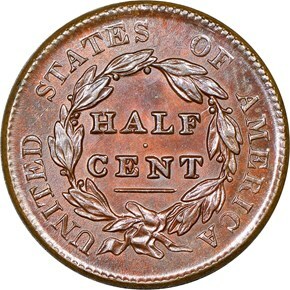 It's believed that these lost half cents included a mix of 1825-29 dates.